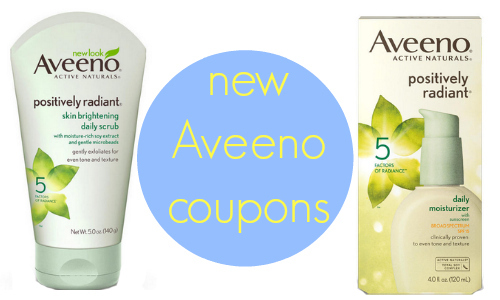 There are (2) new high value Aveeno coupons available today! You can save on $2 on Aveeno Positively Radiant scrub or moisturizer with the purchase of an issue of People magazine. Plus, don’t forget! Each coupon can be printed twice per computer.